Stade de France, Stadio Olimpico, the Principality Stadium . . . Downing Street. Wales’ Grand Slam mission has taken in a meeting with Theresa May, with Rob Evans claiming the Prime Minister wants him as ‘Brexit Secretary’. The loosehead prop, who played an influential role in last weekend’s victory over England, attended No 10 on Wednesday as part of the St David’s Day celebrations and talked with May. He was invited by Pembrokeshire MP Stephen Crabb, who was taught in school by Evans’s father, Graham. “Theresa came into the room and told us it was hard enough negotiating Brexit, but to be an English person addressing loads of Welsh was just as hard,” Evans said. “We had a chat and she knew quite a lot about rugby. She was talking about our winning run of 12 games and discussed the challenge we are going to face in Scotland. With politics swirling in the air in rugby, Evans’ trip was grimly appropriate. Yet while all the talk at global level has been of the mooted World League, and the abandonment of the Tier 2 nations, in Wales the ramifications of ‘Project Reset’ has dominated the agenda. The Welsh Rugby Union has vowed to overhaul the domestic game and there have been rumours that a new region will soon be founded in North Wales, with one of the four current regions making way. The Ospreys – defeated heavily by Connacht yesterday – have emerged as the favourites for the axe and the tensions reached such levels that Wales’ preparations for Murrayfield were hit on Tuesday when the coaching staff were asked to leave the team room at their Vale HQ for officials to give players details about the plans. 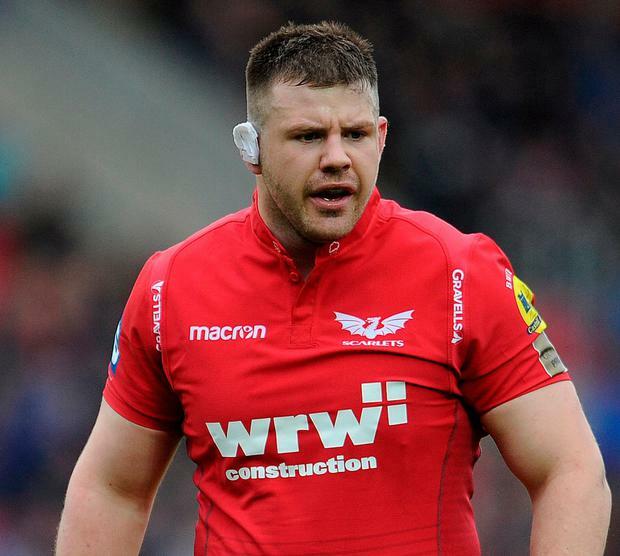 However, Evans has revealed that the squad remain in the dark and are clearly not happy, with many of them, including him at the Scarlets, due to sign new contracts. Warren Gatland and Co are understandably frustrated, if not downright furious, that the issue has been allowed to interfere with the build-up to a match which could set them up for a shot at the Grand Slam at home to Ireland on Saturday week. But Evans is adamant the focus will not waver. Two years ago, Wales suffered their first loss to Scotland in a decade and despite an emphatic 34-7 revenge mission in Cardiff 12 months ago, the memory of that Edinburgh afternoon lingers. Evans finds the recollections particularly galling as he conceded a number of scrum penalties that handed the home side the momentum to run away to a 29-13 triumph. “We got a lot of wrong calls by the ref [John Lacey] so, yes it was tough,” he said. “I don’t care about criticism apart from if it comes from the people who matter, like the coaches. But we did pay price for it really, and, if we’re honest, they probably embarrassed us a little bit. We had our pants pulled down. So, yeah obviously looking forward to it.